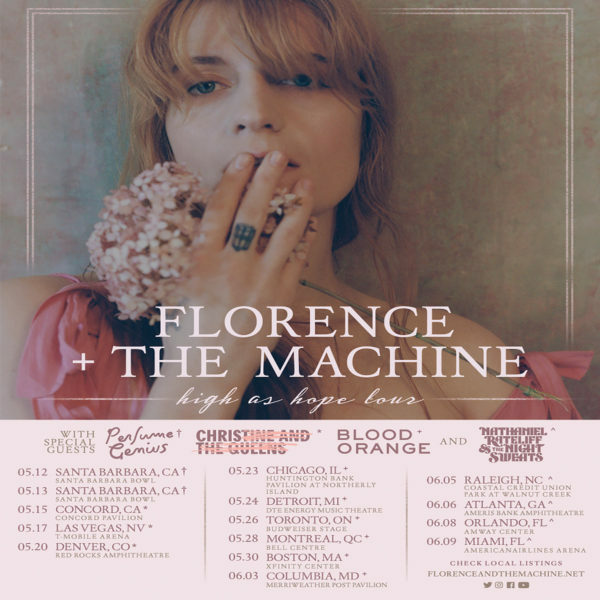 Florence + The Machine will be embarking on a North American tour this spring, beginning in May. The tour will stop in Chicago, Oakland, Los Vegas, Boston, and Colorado’s legendary Red Rocks Amphitheater. The band will also be headlining sets at Governor’s Ball in New York and FORM Arcosanti. 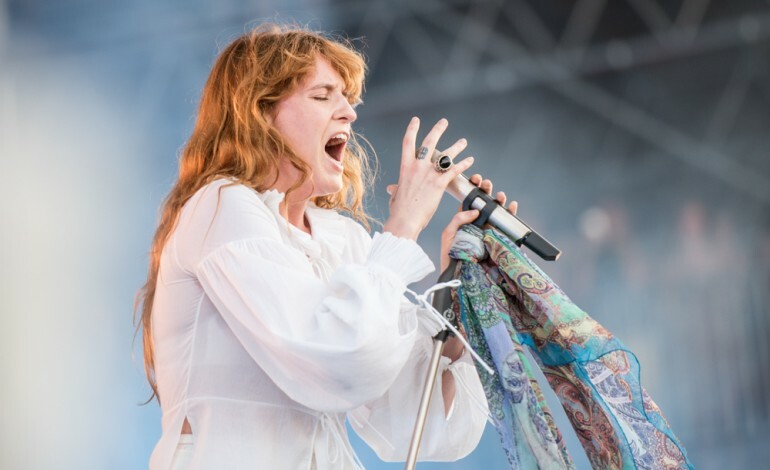 Christine & the Queens, Blood Orange, Nathaniel Rateliff & The Night Sweats and Perfume Genius will join as special guests on select dates of the tour. Citi card members will have access to purchase presale tickets beginning February 5 at 10 a.m. local time until February 7 at 10 p.m. local time. For complete details on the Citi cardmember presale, click here. Tickets will go on sale to the general public beginning February 8 at 11 a.m. local time. Visit the band’s official website for more information.